I am here to present you the biggest diablo 2 private server housing international players with records of more than 600 users online during peak times. The server is runned by a professional gaming network that has been active for more than 11 years (since 2005) which is huge and offers a great opportunity for those who still love this old game to find a new home and spent their time into a really nice community with great people. 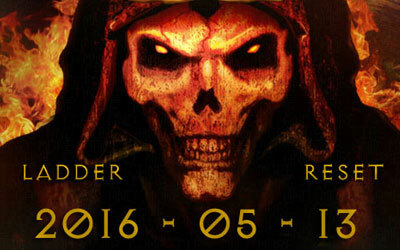 Hell unleashes on Friday, May 13, get ready for the ladder reset! They own both domains so you may choose any them as you will join the same international realm. • MANY OTHERS - Read more here and be sure to discover them in-game. • We have the biggest active players database among all other servers. Last edited by coxanalot; 05-01-2016 at 07:17 PM. Ladder has been reseted. There are about 600+ players online on peak times.